Submit your answer to info@solomonexamprep.com to be entered to win a $20 Starbucks gift card. When inherited, the basis of a depreciated asset is? Relevant to the Series 6, Series 7, Series 62, Series 65, Series 66, Series 82, and Series 99. Bob owns convertible preferred stock in BigCo. Which of the following is a taxable event for Bob? Answer: C. Receiving a dividend (even a qualified dividend) is a taxable event. When a company merges with another company, it may give its shareholders stock in a new company in exchange for the stock they currently hold. This is usually not a taxable event, meaning the shareholder does not have to pay taxes on the new shares at the time of the exchange. Moreover, if the company gives shares of common or preferred stock to shareholders because of a corporate restructuring or bankruptcy, this is also not a taxable event. Additionally, the conversion of convertible preferred stock (or bonds) to common stock is not a taxable event. Relevant to the Series 65 and Series 66. 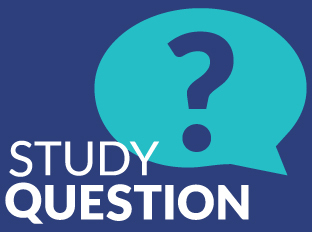 Answer: D. By thinking she can profit on information she discovered by examining the historical trading volume of XYZ stock, Tammy does not believe in any form of the efficient market hypothesis (EMH), which in general asserts that all available information is already reflected in a stock’s price. The weak form of the EMH asserts that a stock’s price already reflects all information that can be derived from market trading data, such as historical trading volume. The semistrong form asserts that all market trading data and all other publicly available information on the company, such as earnings reports, is reflected in a stock’s price. The strong form asserts all historical data and all company information – both publicly available and privately known only to insiders- is reflected in a stock’s price. On February 5th, FINRA officially adopted a pair of new provisions designed to empower firms to identify and assist elderly and disabled customers who may be victims of financial exploitation. One amends the rules around collecting customer information, and the other lets a firm take action in response to unusual account activity. These changes could soon show up on multiple exams, including the Series 6, 7, 24, 26, 27, 28, 65, 66, and of course the upcoming SIE exam. In your future career in securities, you may have an elderly or disabled customer who begins making decisions that don’t appear to be in his best interest. Maybe you can’t get ahold of him to ask about unusual transactions on his account. But if the transactions appear to be legally authorized by the customer, is there anything you can do about your suspicions? Yes. These new rule changes help you help this customer in two ways. First, you’re more likely to have someone close to the customer who you can reach out to. From now on, when a firm collects or updates a customer’s personal information it must try to get the name and contact information of a trusted contact person. The firm has a limited ability to share information with the trusted contact person to address certain situations that may indicate that the customer is vulnerable. For example, if the firm can’t contact the customer, it could ask the trusted contact person about her whereabouts. Depending on the situation, this could be as simple as confirming that the contact information you have for the customer is still accurate. If the firm reasonably suspects a more serious problem, it can also ask questions to help determine whether poor health may be interfering with the customer’s ability to protect her own interests. In this type of situation, the firm can also ask for information about any legal guardian or power of attorney the customer might have. The member firm has a reasonable belief that the customer may be the victim of financial exploitation. If the reasonable belief only applies to certain transactions (as opposed to all activity on the account), only those transactions should be blocked. Other account activity should continue to be allowed. The member firm does not need definite knowledge of a specific, diagnosed disability, or any other kind of detailed medical information about the customer. The condition doesn’t even have to be permanent. A customer temporarily hospitalized for surgery could fit the definition, as long as there is reason to believe this is keeping her from being able to protect her own interests. Financial exploitation is defined broadly for these purposes. Such exploitation can consist of “taking, withholding, appropriation, or use” of assets in the customer’s account, whether cash or securities. The reasonable belief can be in regard to past, present, or future exploitation. It can involve unusual actions that the customer supposedly took, or it can involve actions taken by someone else “through the use of a power of attorney, guardianship, or any other authority.” It can involve suspicion of intimidation, trickery, a combination of the two, or any other form of “undue influence” over the vulnerable person. When this kind of temporary hold is placed on an account, the firm must follow up in several ways. The firm has two business days to notify all parties authorized to transact business on the affected account, as well as the customer’s trusted contact person. If the firm has a reasonable belief that an individual is involved in the exploitation, that individual is excluded from the notification requirement, even if it is the trusted contact person. The notification must disclose the temporary hold and the reason for it. Another way that the firm must follow up is with an internal review of what the reasonable belief of exploitation was based on. This review must be opened as soon as the hold is placed. It is important that the review be completed promptly, because it may affect the length of the hold. The member firm can extend the hold further if a court or state agency (such as Adult Protective Services) orders or requests it. A request from a state agency need not be formal. It could be as simple as the agency asking for an extended hold to give them more time to investigate. Such a request should be carefully documented so that the firm can show that the extension is allowed. Each member firm must have written procedures specifying who within the firm is authorized to place, remove, or extend this kind of hold. Only an associated person whose job function is supervisory, legal, or compliance-related can be authorized to place this kind of hold. All records related to such a hold must be retained for the default period of six years. Continue to rely on Solomon Exam Prep for up-to-date information of interest to takers of the Series 6, 7, 24, 26, 27, 28, 65, 66, SIE, and other securities exams. Congratulations to Megan K., this month’s Study Question of the Month winner! Relevant to the Series 6, Series 7, Series 66, and Series 65. In the event that the holder of securities dies and passes those securities to one of his heirs, the new owner gets to claim the price of those securities on the deceased person’s date of death as the securities’ new tax basis. 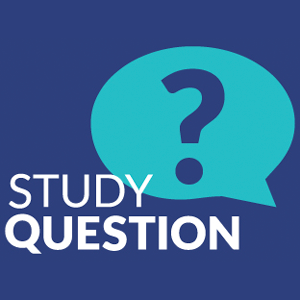 Congratulations to Terry F., this month’s Study Question of the Month winner! Which of the following is true of UGMA/UTMA accounts? Anyone may contribute to a Uniform Gifts to Minors Act (UGMA) or Uniform Transfer to Minors Act (UTMA) account and there are no contribution limits. Assets in UGMA/UTMA accounts may be used for any purpose and earnings are reported on the minor’s social security account, not the custodian’s. Congratulations to Veronika J., this month’s Study Question of the Month winner! In her junior year in college, Kim’s grandmother dies and leaves Kim several thousand dollars. Kim wants to put some of the money she received from her grandmother into a retirement account. Given Kim’s young age and status as a full-time college student, what would be her best option? Answer: D. You can only contribute earned income to an IRA or tax-deferred retirement plan and so unless Kim has earned income, she cannot contribute to a tax-deferred retirement plan. A SIMPLE IRA, which stands for Savings Incentive Match Plan for Employees, is an employer-sponsored retirement plan and not available to individuals. Like a groom who finally ran out of excuses, Labor Department secretary Alexander Acosta announced on Monday, May 22, 2017, that the DOL would no longer seek to delay implementation of the Obama-era fiduciary rule. The rule goes into effect on June 9, 2017. The fiduciary rule requires financial professionals to put an investor’s interests first—that is, to meet a fiduciary duty—when providing investment advice regarding virtually any retirement plan. In the past, financial professionals only had to demonstrate that an investment was suitable, which allowed bad actors to recommend expensive investments with high commissions that diminished investors’ retirement savings over time. This is known as conflicted advice, and the Obama White House estimated that it costs investors $17 billion a year. When the rule was submitted for public comment, the vast majority of commenters were in favor of the proposed regulation. Opponents of the rule, including the Trump administration, believe that implementation of the rule will raise costs and limit choices for investors. Secretary Acosta stated that, although the rule will no longer be delayed, the Trump administration “presumes that Americans can be trusted to decide for themselves what is best for them,” indicating that the rule could possibly be repealed or rewritten in the future. However, those who defend the fiduciary rule claim that average investors, faced with confusing industry jargon, cannot always make the best investment choices for themselves and will benefit from the protection that the rule provides. The Department of Labor’s fiduciary rule goes into effect on June 9, 2017, but it will not be enforced until January 1, 2018, so firms have until the end of the year to fully implement the required changes. Once the fiduciary rule is in effect, it will mean more openings for people who have passed the Series 65 or Series 66 exam, which means that now is the perfect time to start studying. Visit Solomon Exam Prep today for more information about our study materials! Congratulations to Diane K., this month’s Study Question of the Month winner! A. It indicates low or no inflation expectations. B. It indicates higher demand for long-term bonds and lower demand for short-term bonds. C. It indicates an economic recession. D. It indicates an economic expansion. Answer: D. A yield curve plots the yields of similar bonds based on the term of the bond (maturity) and the yield of the bonds, with term on the x-axis and yield on the y-axis. A normal yield curve is upward sloping, indicating that the longer the term of the bond, the higher yield (interest rate). This is because in normal economic conditions, the longer the term of the investment, the greater the risk that interest rates or the economy will change. Thus investors require greater compensation for uncertainties and risks associated with committing their money for longer time periods. This is called the risk premium. When the yield curve is inverted, however, it slopes downward instead of upward. This means that there is higher demand for long-term bonds compared to short-term bonds because investors believe that interest rates will fall in the future. Also, it means that investors are not concerned about inflation. These conditions are associated with a future economic recession. 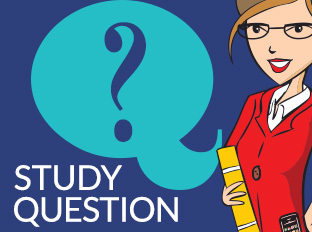 Congratulations to Margaret C., this month’s Study Question of the Month winner! Answer: B. According to the IRS, the holding period clock begins the day after the shares were purchased.